Sorry to report there is still not a lot going on in the studio these days. Paul is still recovering from the accident, steadily but slowly. We have stopped accepting commissions for a while, at least 6 months. There is one more custom order to complete and then, after 10 years, we will have some time/space without deadlines. Ahhh. Feels like a deep exhale. For those wondering, a batch of new circlets are ever so slowly winding their way to the finish line. 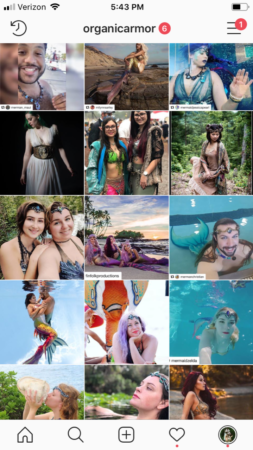 We get a lot of lovely tags on instagram from merfolk all over the world, despite our almost empty shop. We appreciate you guys! I will continue to share the love and repost when I can.